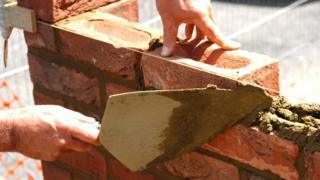 Schools in England are to receive 2.4bn for extra places and building repairs. The announcement by Education Secretary Justine Greening will help to create 600,000 more places by 2021. Extra places are needed to keep pace with a rising school-age population – and to create places in a new wave of grammar schools. But head teachers say the money for buildings does nothing for the “black hole” in day-to-day running costs. This announcement on school places draws upon funding from the 2015 spending review. There will be 980m for extra school places, including an expansion in selective schools. Speaking last week, the education secretary promised a “new model” for grammars and said local communities would have a “choice over how selection works”. There will be 1.4bn to improve the condition of schools, with 1,500 school building projects to be funded. But a recent report from the National Audit Office said that it would cost 6.7bn to get all schools in England into an acceptable state of repair. Last week the public accounts committee published a hard-hitting report accusing the Department for Education of failing to recognise the seriousness of funding problems for schools. Head teachers have been warning of having to cut staff because of budget shortages. The National Association of Head Teachers said budgets were at “breaking point” and that the announcements over extra places failed to address funding problems for basic running costs, such as staffing. “This is money that was already allocated to building new places and so it does nothing to help fill the 3bn black hole in day-to-day school spending,” said the NAHT’s leader Russell Hobby.